We have a completed cover! Many thanks to all who gave me opinions, helped me find images, fonts and all that other crazy stuff that goes into creating a book’s cover. We had a small glitch in editing, but we are back on track and the final edits should be complete by the end of the month. As much as I love Silas and Jude, I’m ready for them to be finished so I can move along to the next novel (or at least choose which one). Till then, be extremely blessed! 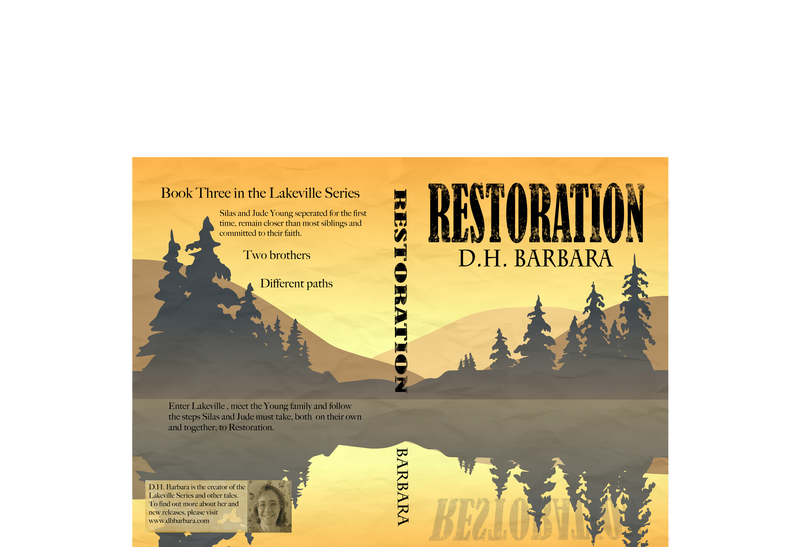 This entry was posted in New Releases, Restoration and tagged dh barbara, lakeville, restoration. Bookmark the permalink. ← Busy Spring/Summer Days! Plus: Freebie Alert!